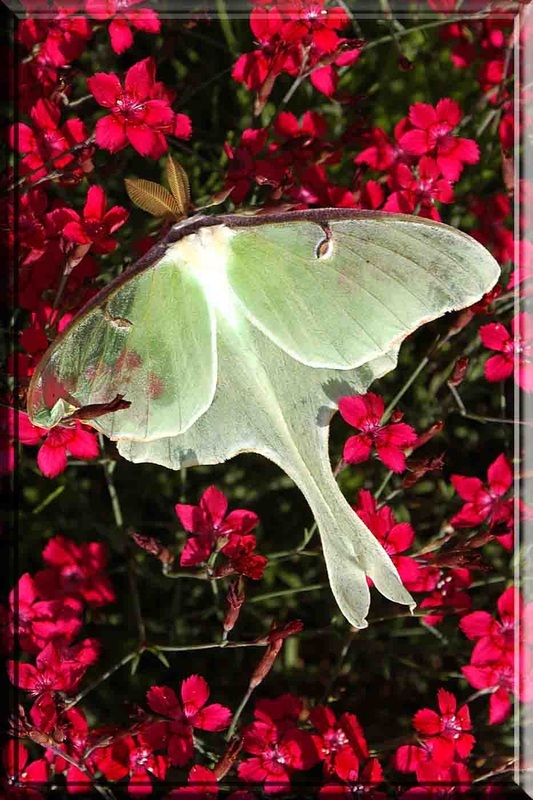 Luna Moths are becoming increasing more difficult to find. This beauty had been resting in the darkness of a cardboard box under a vendor's table at the Open Air Market in Sugar Hill, NH. The Dianthus makes a stunning background.